Dimension: Dia. 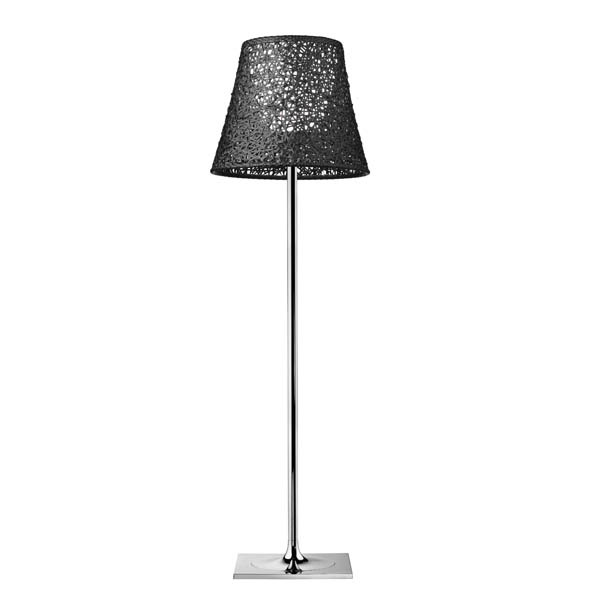 21.65" x 72"
KTIRBE OUTDOOR F3 floor lamp providing diffused light for outdoor use. Die-cast aluminum base and stem support. Galvanized structural parts to protect against atmospheric agents. Chrome finish. Injection-moulded polycarbonate internal diffuser and bulb-holder. Exterior diffuser made from braided coloured PVC tubes and inner frame from polyester painted phosphor-chromed aluminium bars. Steel cataphoresis treated counterweight for effective protection against atmospheric agents. Phosphor-chromed die-cast aluminum outer diffuser cover.